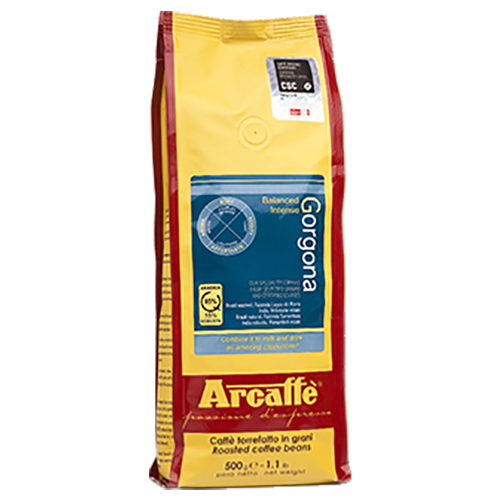 Arcaffè Gorgona coffee beans is a blend composed to suit those who enjoy a little stronger flavor. This mix is also dominated by Arabica beans, about 80%. They are complemented by carefully selected Indian Robusta beans. The small addition of Indian Robusta in the blend gives a powerful, yet velvety taste, a little sweetness, the right bitterness and a pleasant aftertaste.